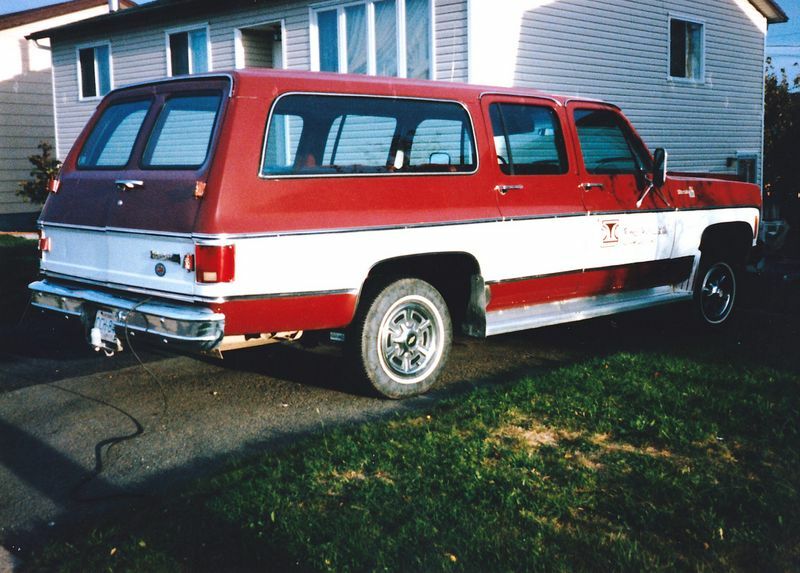 Dad has had a lot of vehicles over the years both for work and personal use, although some later choices were very questionable (ie a 2003 Buick Rendezvous) these are some of his & my favorites from over the years. 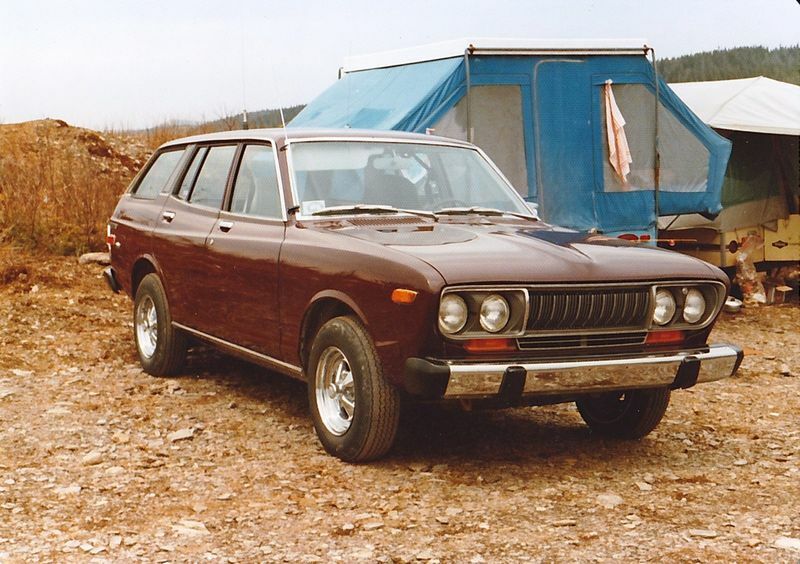 1976 Datsun 710 Wagon. Powered by a 2.0L Nissan I4 and a 4-speed gearbox these cars were a sporty, reliable family grocery getter. 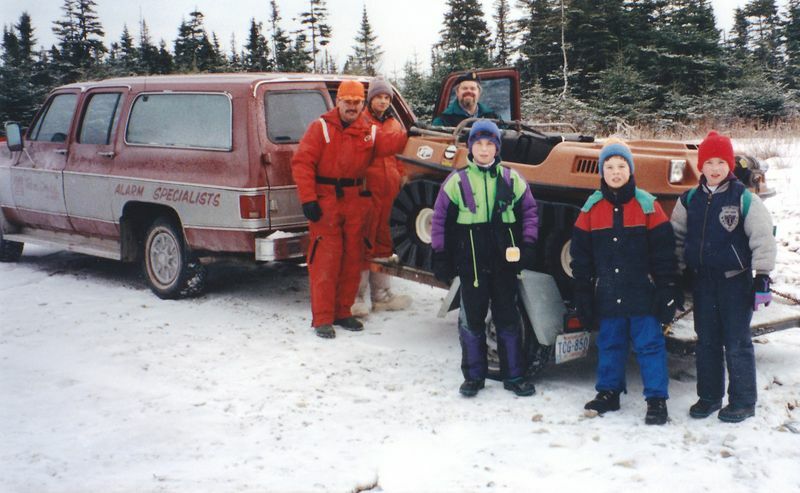 When Dad started Techni-Services in 1986 he ran the company for a couple years from a station wagon which was written off in a winter snowstorm in Port aux Basques. 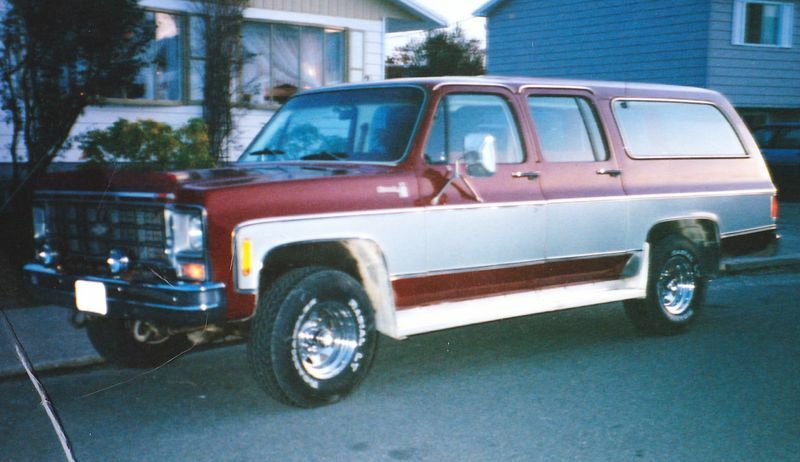 His first company truck was a 1988 GMC Jimmy, powered by a fuel injected 2.8L V6, it was nicely optioned up with most power options. 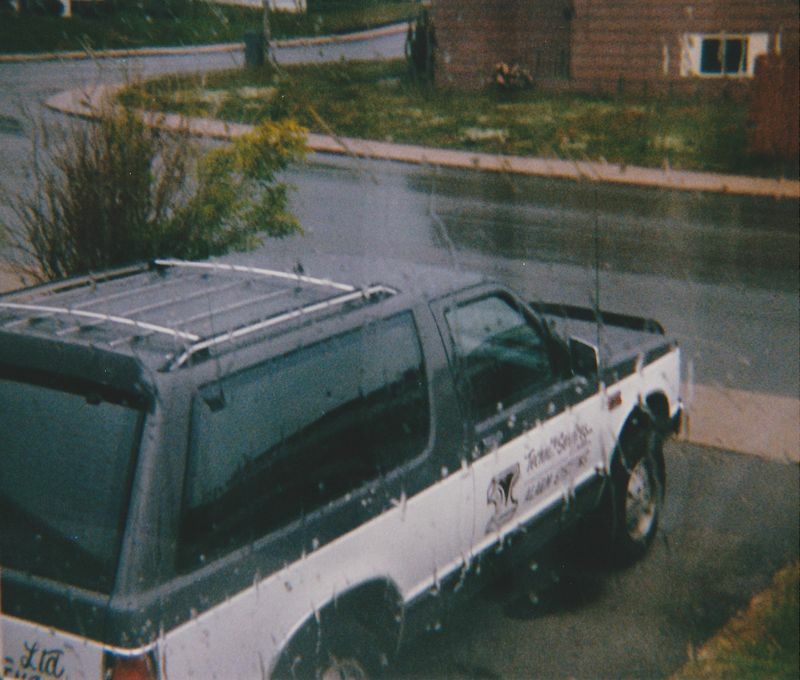 Dad always kept on top of technology and had one of the first cellular phones installed in this truck. 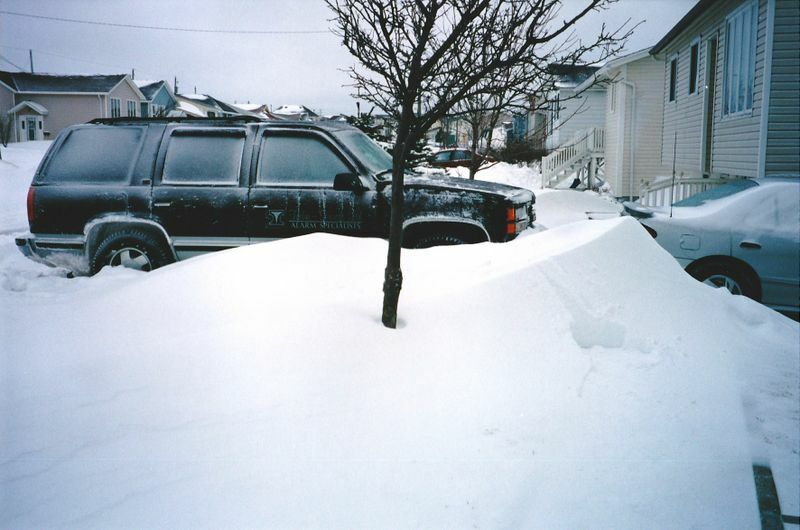 Back then Cantel was the first to offer service in St. John's and the phones were custom installed in each vehicle. 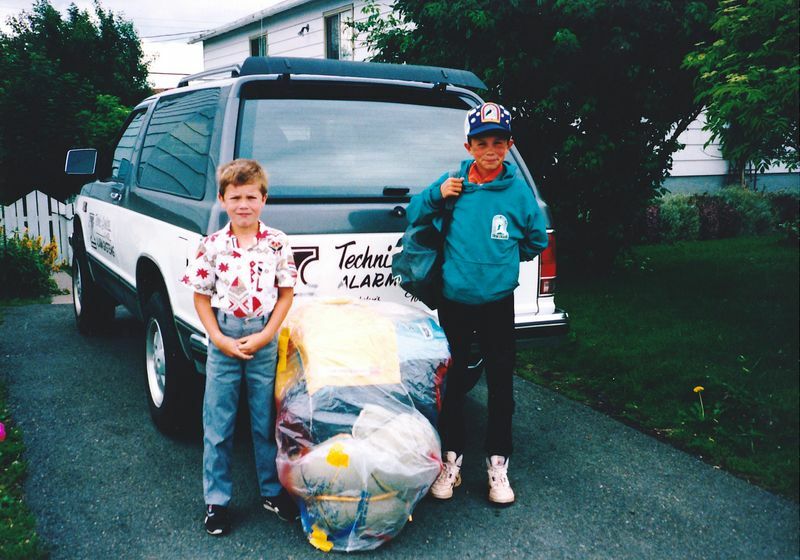 Yours truly leaving for Scouting Canadian Jamboree 1989 in PEI. 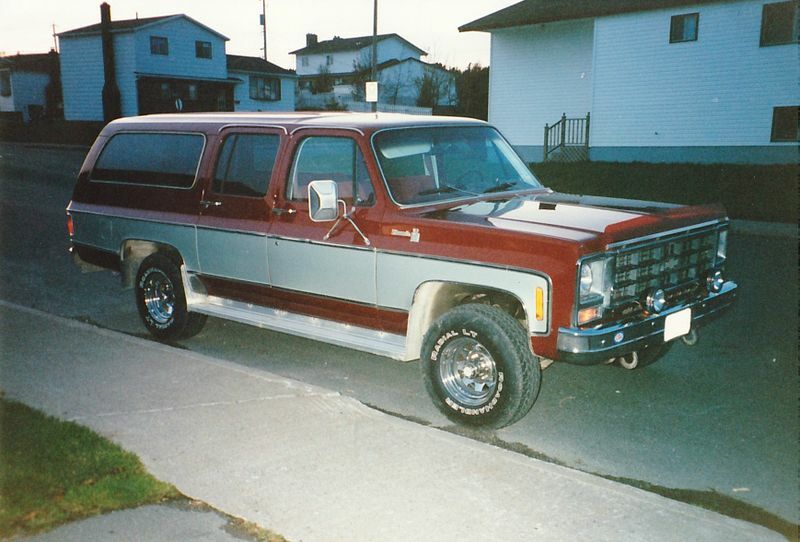 Dad sold this Jimmy in 1994 when he picked up a newer 1994 4-door Jimmy. 1979 Chevy Suburban. 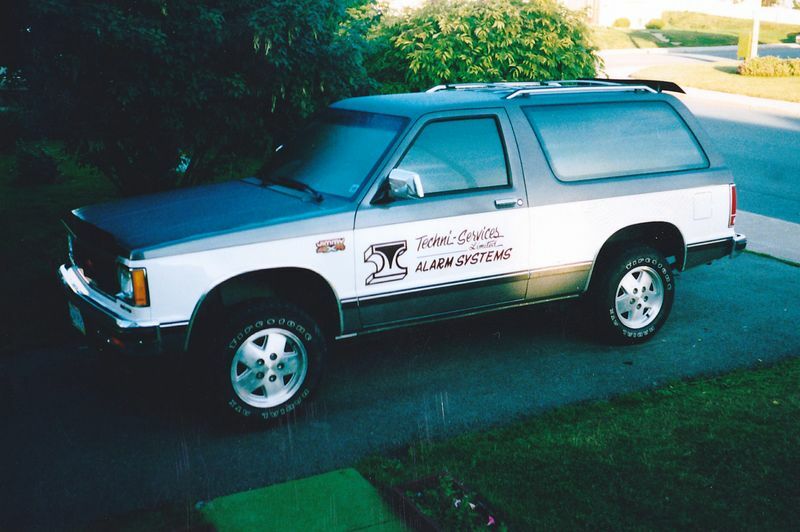 Dad picked up this truck in Goose Bay in 1989 purchasing it from its 2nd owner. It was powered by a carbureted 350ci V8, had a rare 3-speed (4 including low) manual gearbox and stout cast iron transfer case. This 10 year old truck still had its original paint on both the body and chassis. 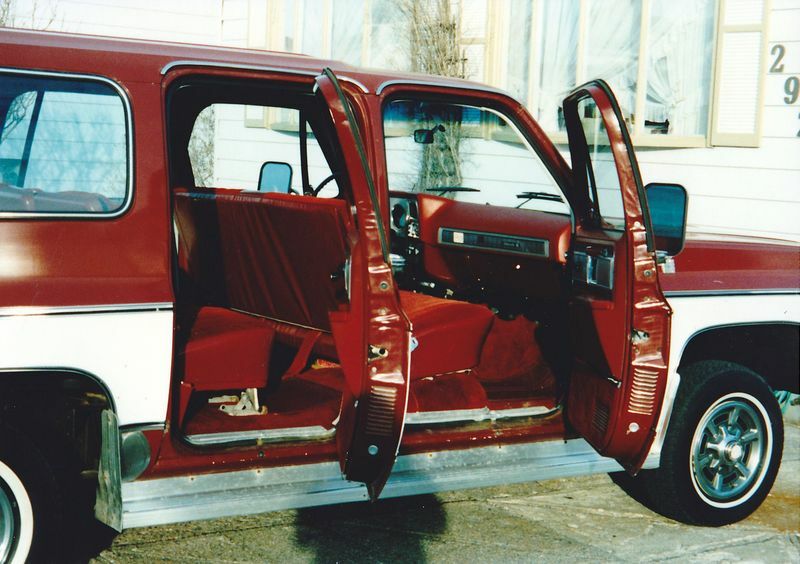 The interior sported super plush carpeted bench seats and floors, I remember spending days vacuuming the Goose Bay sand from the Carpets when it first arrived. 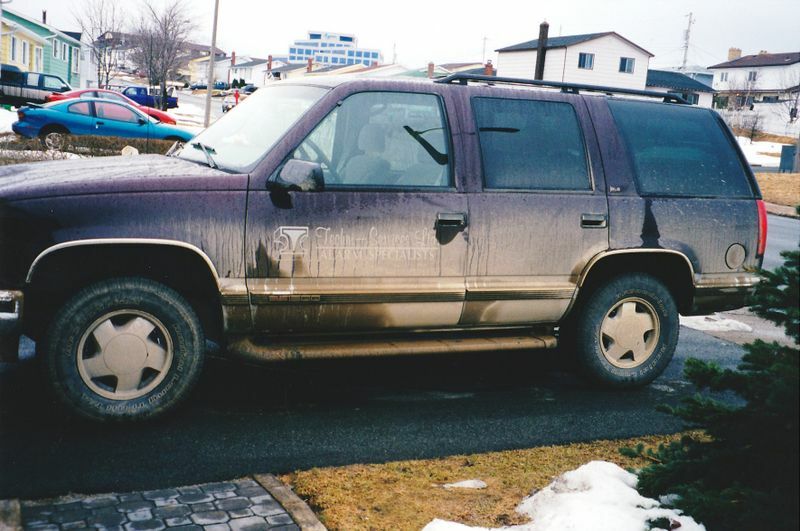 After a few years in NL and regular rust checking the paint and body began to show its age. Dad had the truck repainted choosing the stock burgundy but swapping the white two tone for a nicer looking metallic grey. 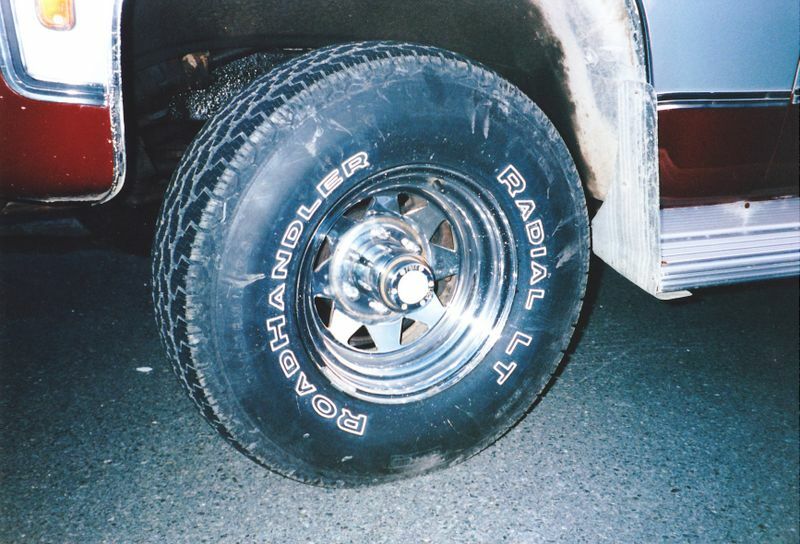 For the summer he picked up a set of 15" chrome rims and a set of 31x10.5x15" tires which really really suited the truck. 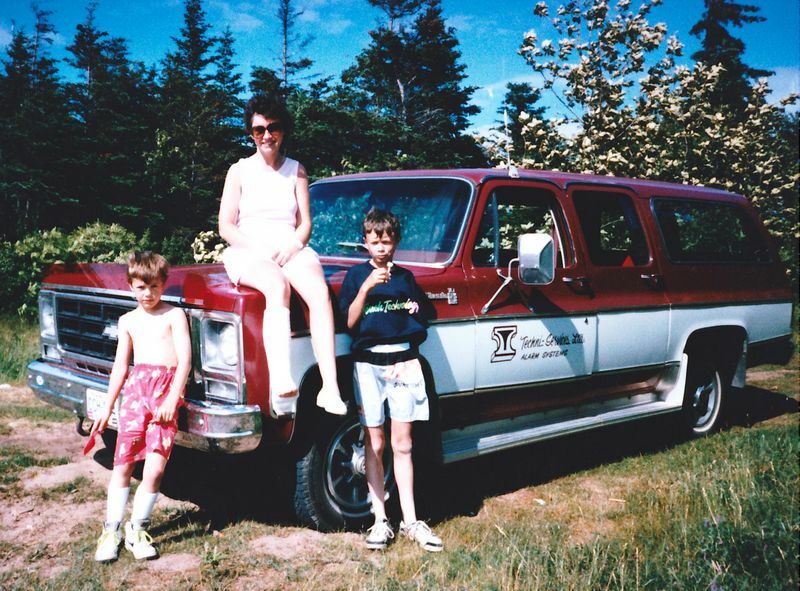 The suburban provided transportation duties to countless Cub & Scout camps over the years, and was loaded up for regular road/work trips to the West Coast of the island every summer. 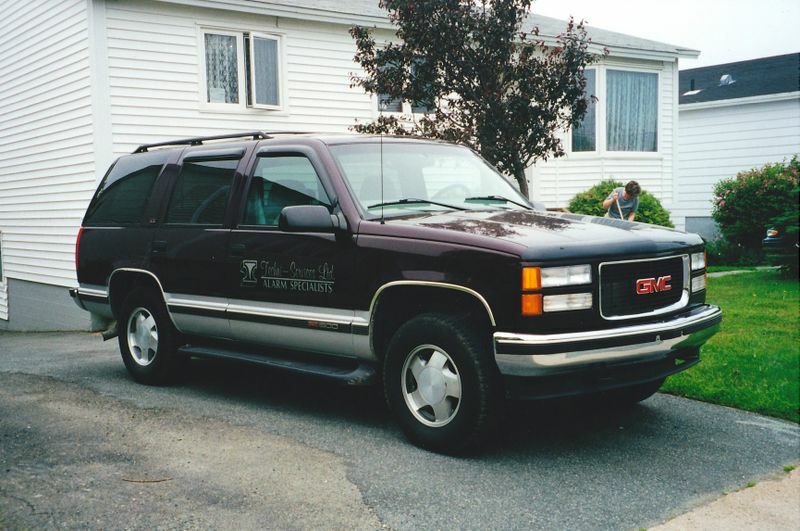 Having sold the Suburban years ago dad came across an awesome deal on a brand new 1997 4 door Yukon at our local dealer. 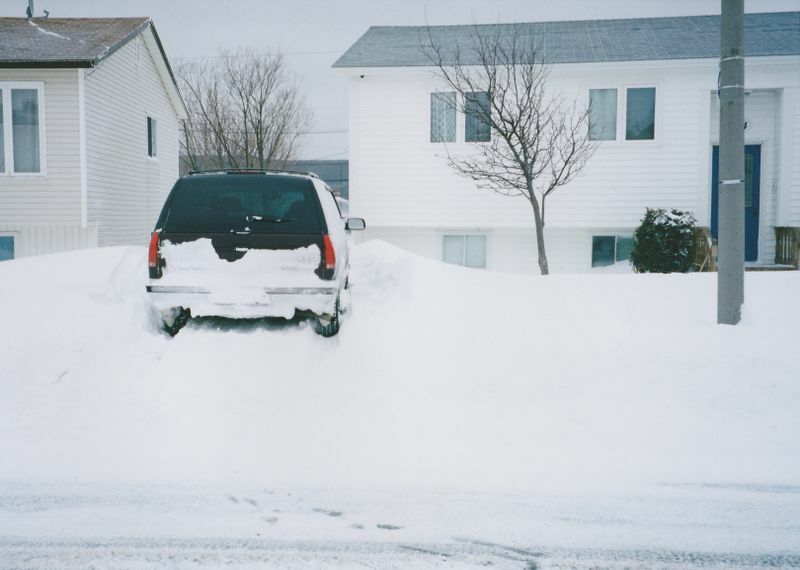 Powered by a Vortec 5.7L V8 and 4 speed automatic transmission, the Yukon was a fantastic work and weekend truck, and one of Dad's favourite trucks of all time. 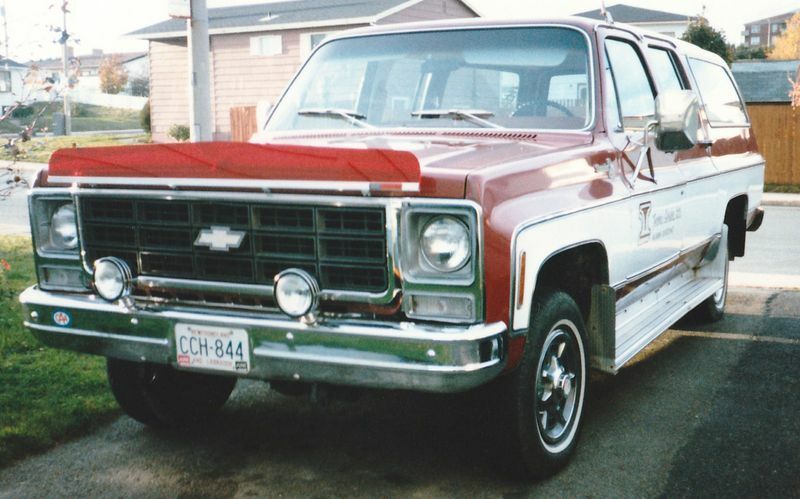 Dad always kept a clean truck, but that didn't mean he was afraid to use it for what it was designed to do! 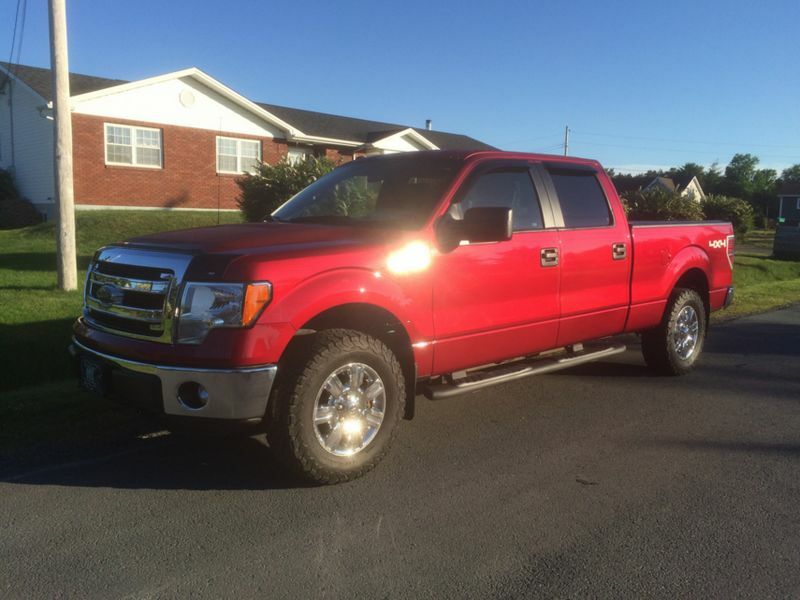 After a few years of very weird and strange vehicle choices (including a Buick Rendezvous and Ford Flex), dad picked up a good used one year old Ford F150 a couple years ago. This 2014 is the last year of the steel body and sports the ever reliable 5.0L Coyote V8 that has lots of power, an awesome sound and surprisingly good fuel economy.